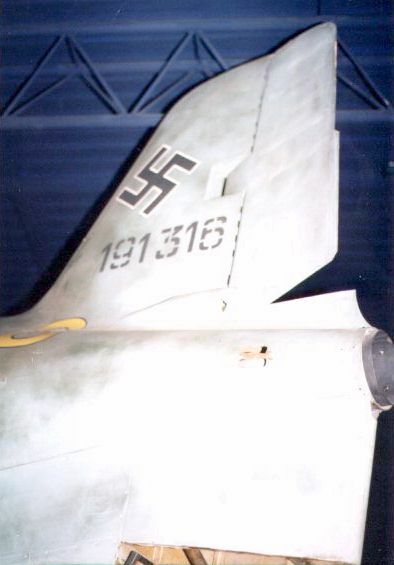 Close-up view of the tail. The interior of the rocket exhaust looks different from other Walters (the slots are missing). According to Shamus Reddin's Walter HWK 109-509 Site, 191316's engine (WNr M1734) was indeed removed on is now occasionally on public display.